Chicken Wings! I’ve said it before and I’ll say it again…they are my 5th food group. Mrs. G thinks I might be obsessed with them and she maybe right. Garlic Parmesan is one I’ve been staying away from. I’m never sure when I read recipes for them if the author means the grated parmesan in the green can or fresh parmesan. I’ve made them in the past using fresh and it wasn’t pretty. 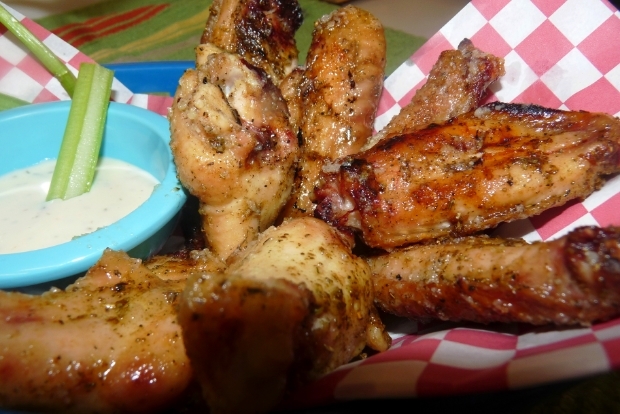 Thursday of last week, a guy by the name of LTAFlynEgg on the Egghead forum wrote a post about a bunch of different flavored wings he did, one of which was garlic parmesan. That inspired me to tackle them again and to get it right this time. Which I think know I did! Wings going on the MINI Egg indirect at 400F. Often when I am cooking for myself, I go with the MINI. Quicker to light, quicker to get up to temperature and uses much less lump charcoal. Set up your grill for an indirect cook and pre-heat to 400F. Combine the ingredients for the rub. If you have a spice grinder, grind them up to a powder. Dust the chicken wings liberally with the rub. 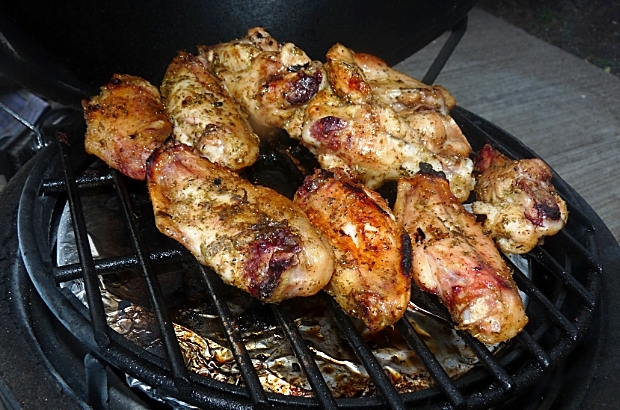 Place the chicken on the grill (making sure not to be directly over flame or charcoal) and cook for about 15 minutes. Flip and cook for another 15 minutes. Chicken is cooked safely when it reaches 165F, but wings can (and should) be cooked a bit higher in order for the fat to render off and to allow the skin to crisp up. 175 and even 180 would be good. Cook until crispy. While the chicken is cooking, melt the butter in a small sauce pan. Add the remaining ingredients and allow to simmer for 5 minutes. When the chicken is done, remove to a large heat proof bowl. Pour the sauce over the chicken and toss to coat. Plated up and ready to dig in. Can you honestly look at that and tell me it doesn’t look good? Just looking at that picture is making me crave these wings again. … love Gar Par wings!! Yours look awesome, great job Jason. I had no idea there was such a thing as a mini Egg! Another thing to add to my want list, along with the big Egg. Wings are my fifth food group as well. Fortunately my husband loves them too so there’s no complaining when they show up as a main course. Unfortunately, it means I have to share. 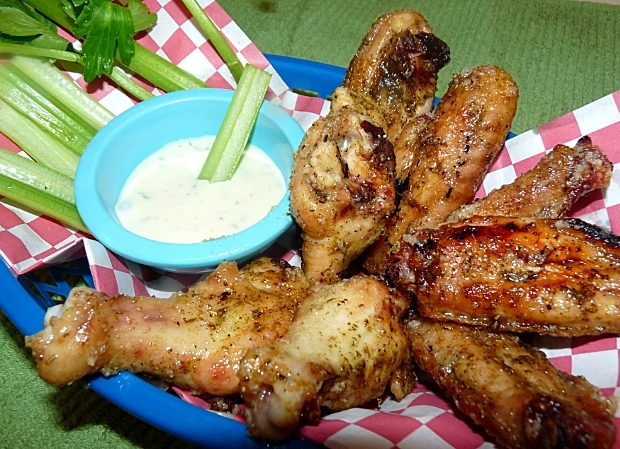 Your garlic Parmesan wings look wonderful! Can these be adapted to the regular oven in the house? I’ll try my take on them..they sound yummy…add a little heat (cayenne) and wow. I don’t see why they couldn’t be, Dena. I take a lot of recipes and modify them to work on the grill, I don’t see why the reverse wouldn’t be true. I don’t know that 400F for 30 minutes will work the same for the oven, though. It would be a good starting point, but you might have to modify it a bit. I usually love hot type wings, but I actually tried garlic Parmesan wings yesterday. They were awesome! Which just means it will be even harder choosing a flavor in the future. BTW..what the hell happened to your BGE? I saw the pics on Facebook. Wings of any kind make me happy, but I think these could make me ecstatic. I think somebody needs to redraw the food pyramid and give wings their own section on it. 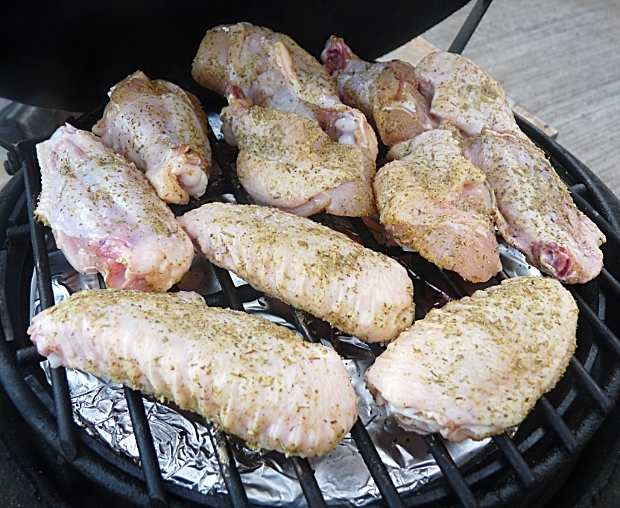 I decided for my first try at making wings on my Big Green Egg, I’d give your Parmesan Garlic Chicken Wings recipe a try. They were AWESOME! Crispy with just the right amount of garlic and parmesan. I think I added just a tad too much salt, but that was on me. 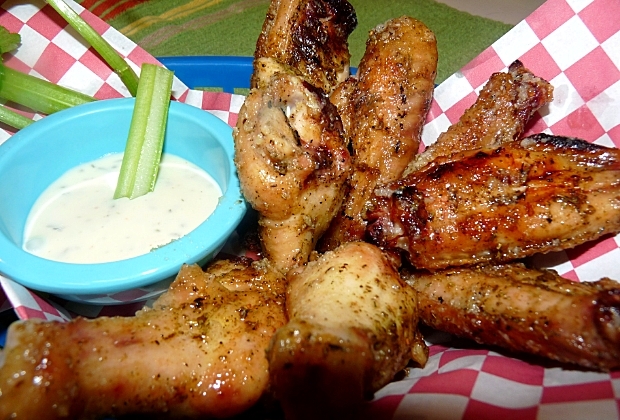 I plated the wings with some blue cheese dressing and celery for a nice lunch! Next up is the 1770 House Meatloaf. I just put it on the Egg. Wish I could have come to your house for lunch. Now I want wings for dinner. Thanks for the recipe for Garlic Parm. Wings, just ate at BW’s and fell in love with them. So I will try (and my son will too) and reply back later. Love your post. I can now understand why you haven’t blogged lately. I had two boys myself. They are alot of fun. Thanks again! Thank you, Tammy. 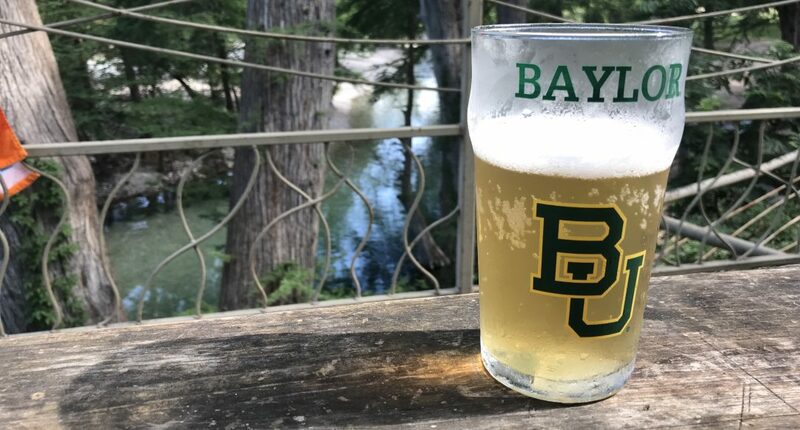 Not sure how close mine will compare to BW’s as I’ve never had theirs,but everybody that has tried mine has enjoyed them. We’re having a lot of fun with our little guy. How old are yours?